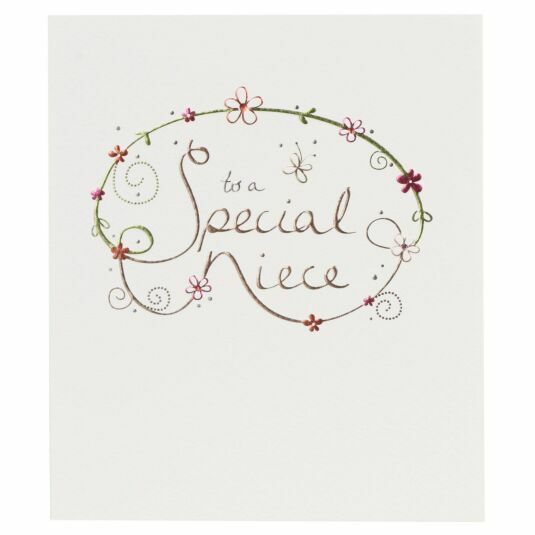 This card is beautifully designed especially for your niece’s birthday. The front reads ‘to a wonderful niece’ surrounded by a multicoloured ring of flowers. The inside of the card reads; ‘Happy Birthday’ and of course, has plenty of space for you to add your own personal touches to the message.